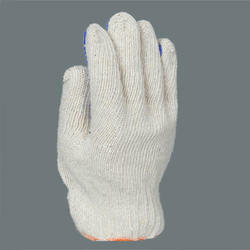 Our range of products include cotton knitted gloves and pvc cotton dotted gloves. We are offering Cotton Knitted Gloves to our clients. With our vast experience & knowledge in this field, we are engaged in providing a quality-assured range of PVC Cotton Dotted Gloves soft feeling and comfort.